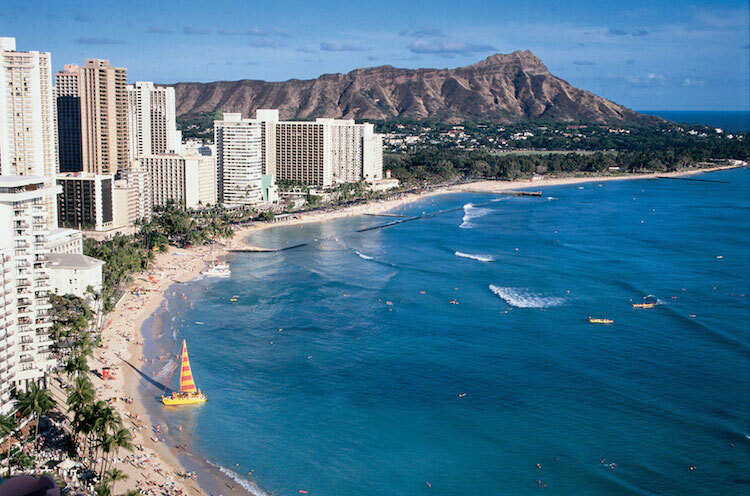 As Barack Obama and family recently spent a little vacation time around the island of Oahu last week, we figure it would be useful for you (or any presidents who might read this) to know the best places to get a cup of coffee around Honolulu. It can be tough to go on vacation and still get a great coffee experience, and since everyone has their favorite spots, and varying expectations, it can be difficult to fulfill your caffeinated desires. Specialty coffee has been relatively absent from the Hawaiian coffee scene until recent years. This is at least in part due to the fact that Hawaii is a coffee growing region and visiting tourists are often enthralled by seeking the locally grown beans. Locally grown does not always add up to high quality unfortunately due to less than ideal growing/production or roasting techniques. Of course when it is done well the coffee can in fact be amazing! I was in Honolulu last month and had the chance to check out some of the best, newest, and most popular cafe destinations on the island. 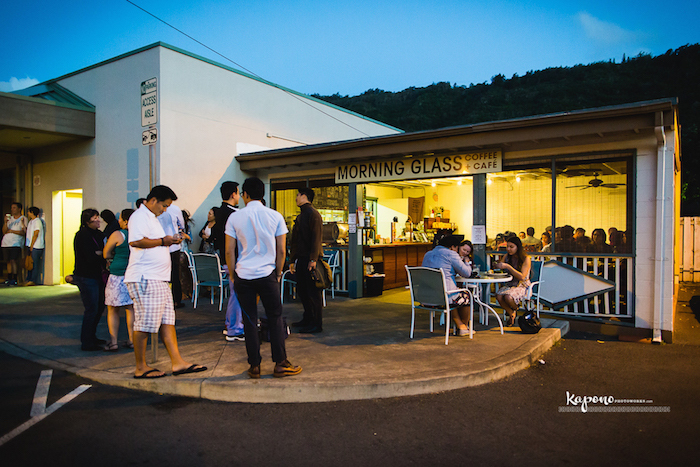 If you are planning to visit Hawaii, the following spots are recommended to get high quality coffee. Kai Coffee is one of the newest cafes on Oahu, boasting both a beautiful setting and beautiful coffees. Owner Sam Suiter decided to set out on his own and create the coffee company of his dreams. He has found high quality coffees from the Islands and abroad to represent his vision. The baristas are modern in style, sporting bow ties and waist coats, and their dedication to friendly interactions and amazing beverages is quite apparent. 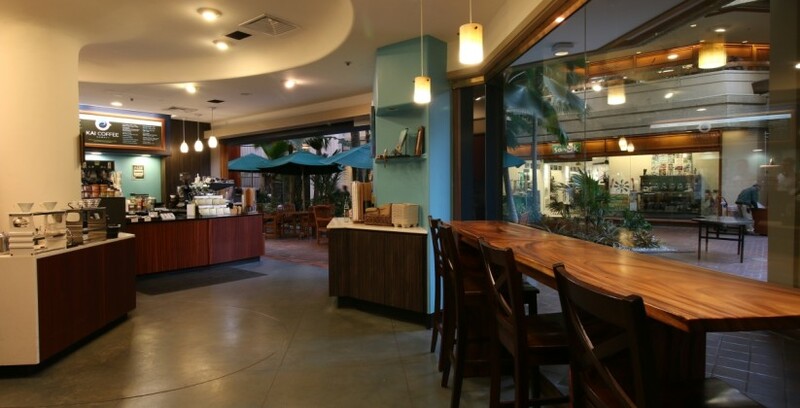 The first Kai Coffee location is open in Waikiki now, and we look forward to seeing more from them in the future. Honolulu Coffee Company is a long time name in the Hawaiian cafe scene, with a notable dedication to modern barista trends. Ed Schultz, the acting owner of the company is responsible for expanding this long time cafe chain into a multinational presence, with stores in Taiwan, Japan, and Guam. They offer blends for their mainstay coffees, and a number of Hawaiian single origin selections throughout the year. 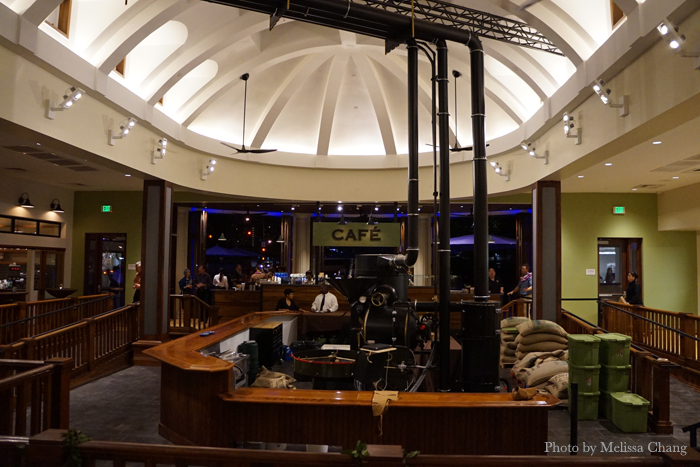 Their new roasting “experience center” is located just outside of Waikiki, and it is a beautiful building. Tours take visitors through an educational look at their roasting operation, bakery, their farm in Kona, and a cupping of their coffees. The experience center boasts a full coffee bar setup and tables for a casual cafe environment as well. The Curb started out as a food truck on the University of Hawaii campus, delivering much needed caffeine to the masses of students. Sumner Ohye has grown his business into 4 current locations in Honolulu and the local customers are giving him big support. The Curb is technically a “multi-roaster” concept, meaning they ship in coffee from multiple roasters on the mainland. This gives a great variety to their offerings, which are mostly focused on the pure representation of the coffee itself. 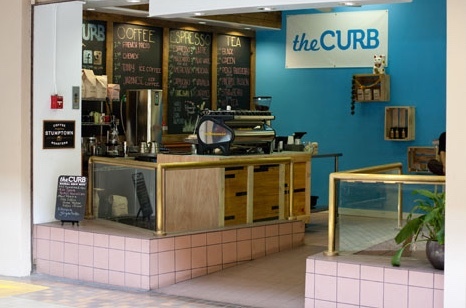 The Curb locations seem to be focused on the local community, giving a small and cozy environment where regulars interact and mingle through the day. They also have some of the most modern gear on the islands, which shows how much they like being connected to the mainland US and international coffee trends. Morning Glass is not solely focused on coffee, and the food offerings at this little spot in Manoa Valley are satisfying to say the least. Owner Eric Rose has brought some of his Portland roots with him to Honolulu in the form of Stumptown coffees and great food to go with it. In addition to their Portland based coffee, they also bring in Four Barrel selections from San Francisco as well as roasting local Hawaiian coffee in very small batches for those who want a special treat. The setting of the original Morning Glass location is casual and open to the air. On the weekend mornings you might find a waiting list for seats, as the demand for their brunch is quite high. They have recently opened a new location inside of a furniture store called ‘Fishcake’ near downtown. Downtown Coffee has been operating in downtown Honolulu for many years, though the ownership has changed a couple of times. 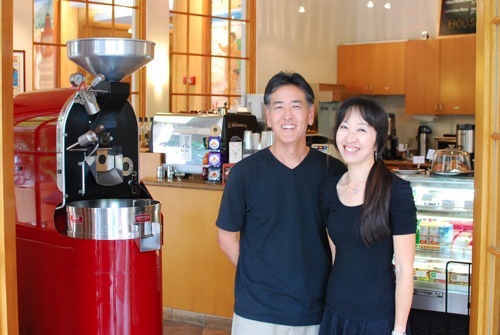 When Fred Hokada decided to take over the store in 2010, he revamped the concept to only feature 100% Hawaiian grown coffees. Though it can be difficult to balance Hawaiian coffees for an affordable price point, he seems to have succeeded in his mission. All coffees are roasted weekly on site in their small roaster, which you can check out inside of the store. Even though Hawaiian coffee is the primary offering at Downtown Coffee, you can also find delectable treats such as their Matcha Latte (made with seriously high grade matcha from Japan), and the incredible Matcha Torte (which is baked by Fred’s wife). Their staff is like a family, and you can find Fred in the cafe most days with a smile on his face. Honolulu has many options when it comes to coffee, much like any city, but when it comes to top notch cafes the above are a step beyond the rest. So when you plan your next trip to the islands don’t be afraid of being relegated to an inferior cup of coffee (I know this is a big fear for all of you Aussie and Kiwi visitors). If you happen to be visiting the Big Island, which I highly recommend, check out our article about the best places to visit in Kona! Good call! I will visit them next time I visit Honolulu. Even though we are at then end of Honolulu in East Oahu… We would appreciate inclusion. @islandbrewcoffeehouse in Hawaii Kai. We feature 100% Hawaii grown and locally roasted coffee and espresso. I will stop by next time I am on Oahu! Thanks for speaking up, and looking forward to meeting soon.